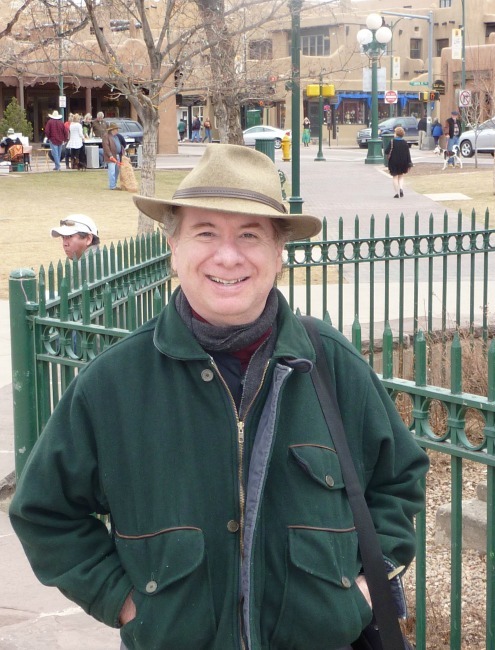 Santa Fe History Tours = (HISTORY WALK) your private safari is led by author & historian Allan Pacheco. Below: Photos of tours through the decades = TOURS FOR THE AGES! It is rare but every now and then Allan does a history tour at night--- however day time is best for history tours---because the group or person is or are able to get into historical places that at night are closed. 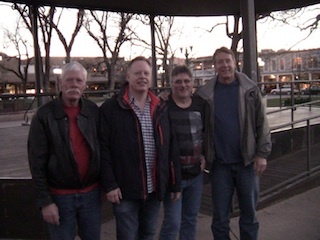 Ghost tours-- they can be done day or night, but most prefer the night….Below a history tour in the plaza-- the end of a happy tour filled with facts. 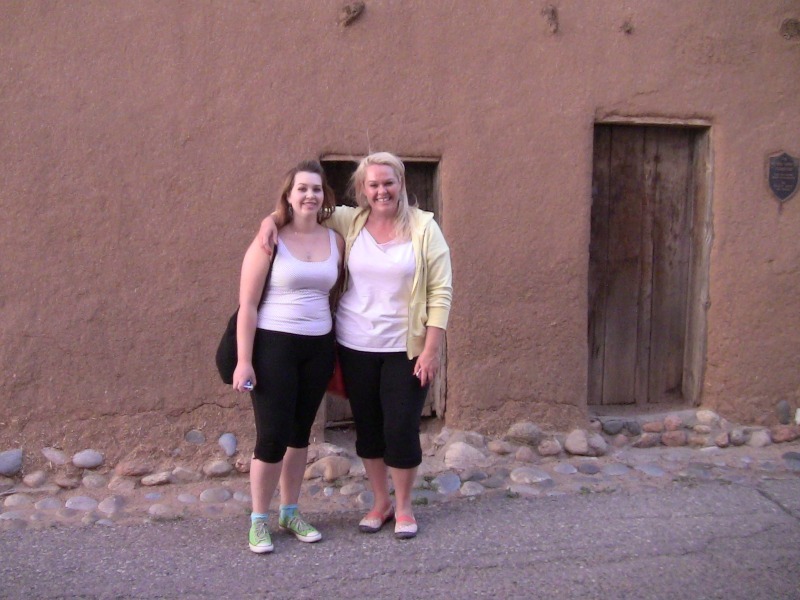 BELOW: -- MOM & DAUGHTER -- HISTORY TOUR-OUTSIDE OF "THE OLDEST HOUSE"
BELOW: The Oldest House in the USA has some of its doors and window blocked off centuries ago. 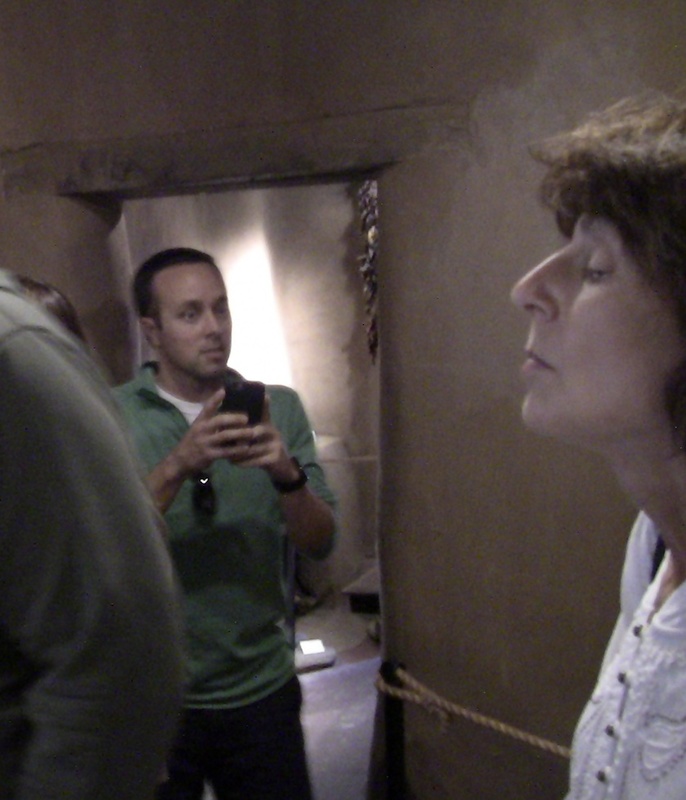 BELOW: Even on history tours, sometimes odd things show up on film as it did with this high school history tour. 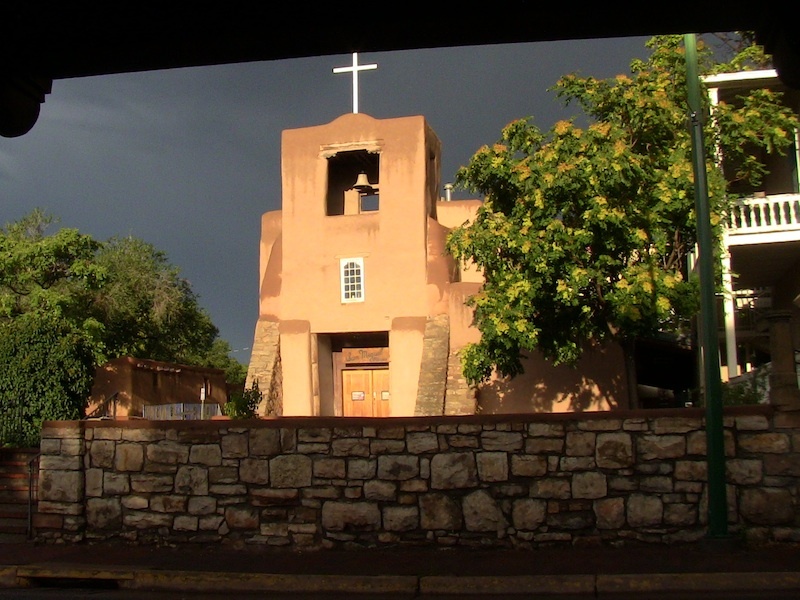 Santa Fe is the most haunted city in the USA. 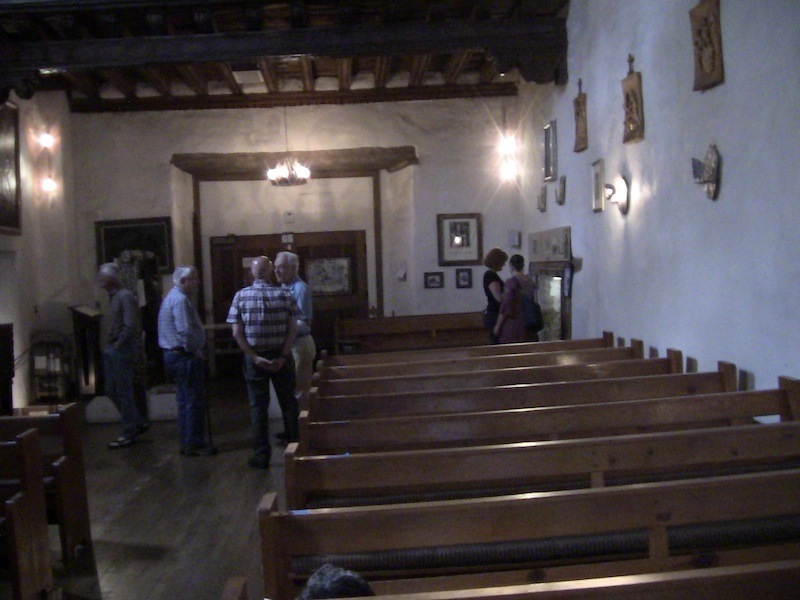 BELOW: The front entrance of the OLDEST CHURCH in the USA --- SAN MIGUEL --- at times the building and its surrounding area does have paranormal activity. During Conquistador days the location was the site of a terrible massacre. 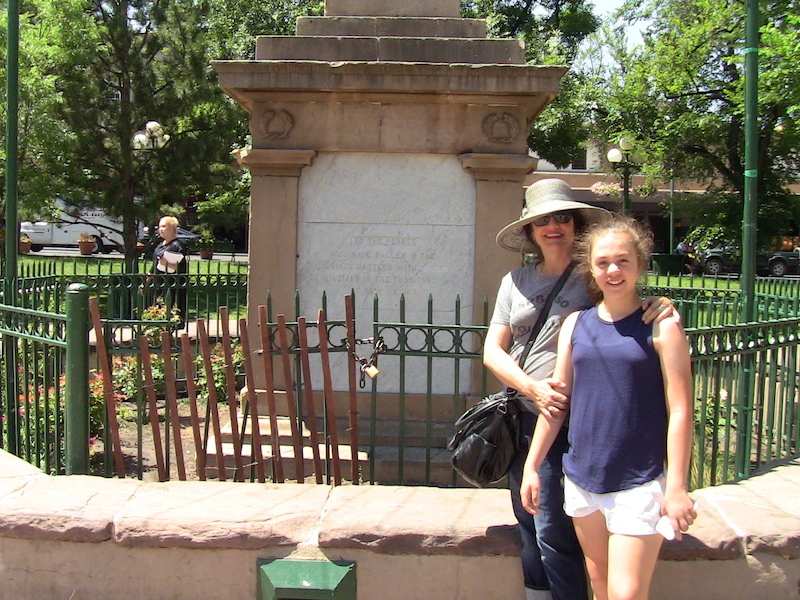 The Plaza monument commemorates fallen American soldiers who died during the Civil War and troopers who gave their lives protecting the wagon trains from Indian attacks. 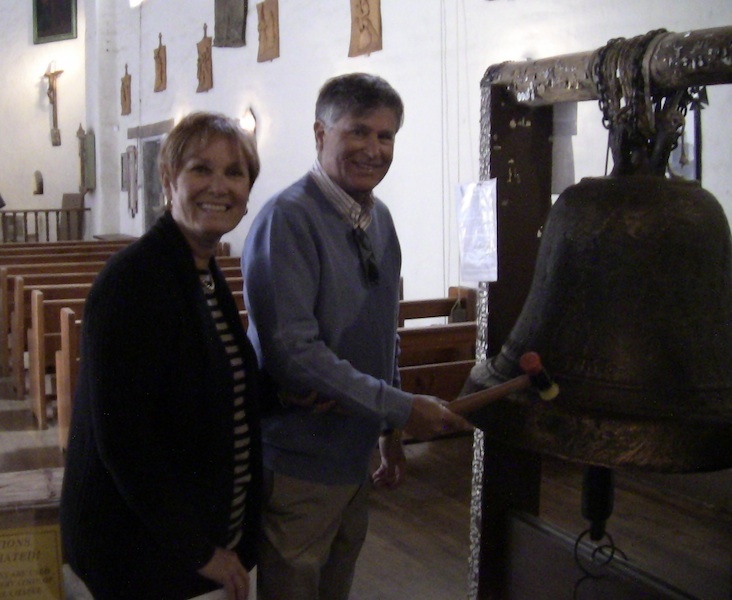 Large history tour or solo history tour, Allan is available --- HISTORY HAS NEVER BEEN THIS FUN! On Allan's tours you get interesting facts, this is not a boring safari. Bring a camera, see where history happened! His ancestors were Spanish conquistadors, who pioneered this area since the 1500s. On your tour you get the skinny and the legends of the capital city, that only a native Santa Fean would know. 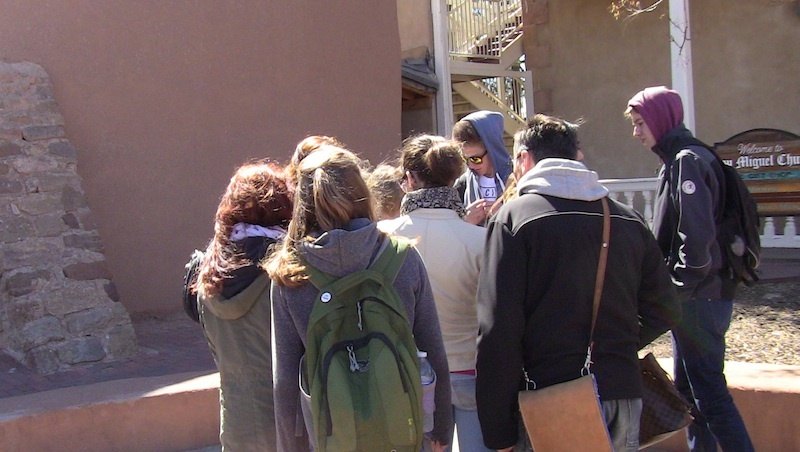 With the bark on, you get Santa Fe's wild west and modern history! 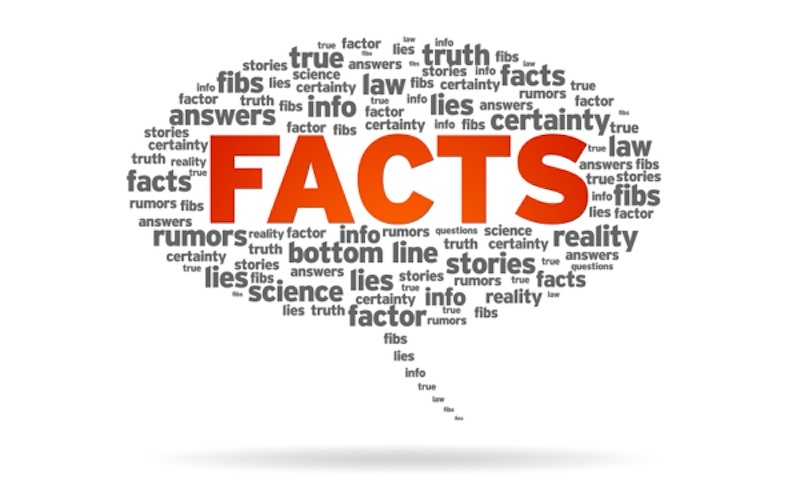 This is not a liars history tour… it is "DA" truth. 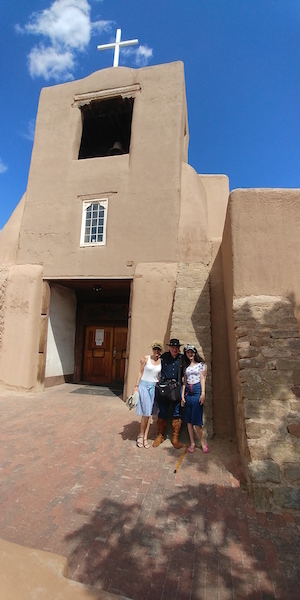 History tour = conquistadors, the wild west, the civil war, the true story on Soviet spies in Santa Fe, the Manhattan project, Billy the Kid, The Santa Fe Trail, and places where history was made…. 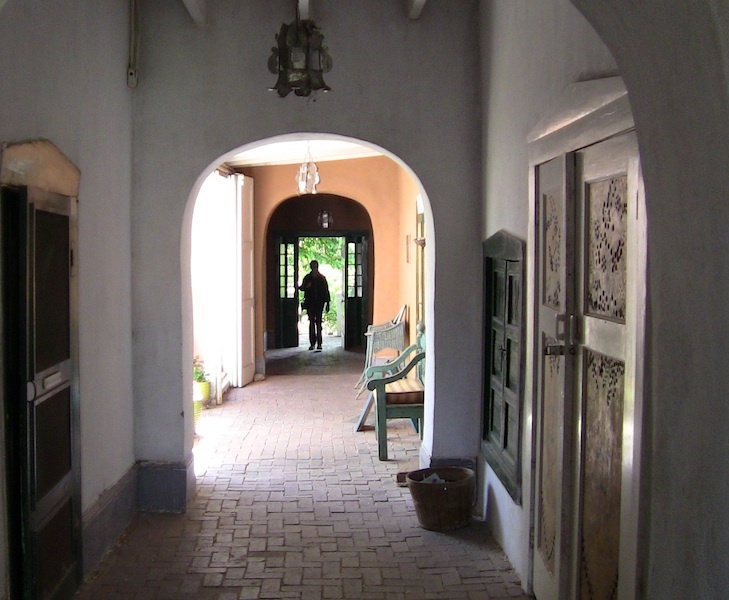 Santa Fe's history during WORLD WAR II, is something out of the movie "CASA BLANCA". 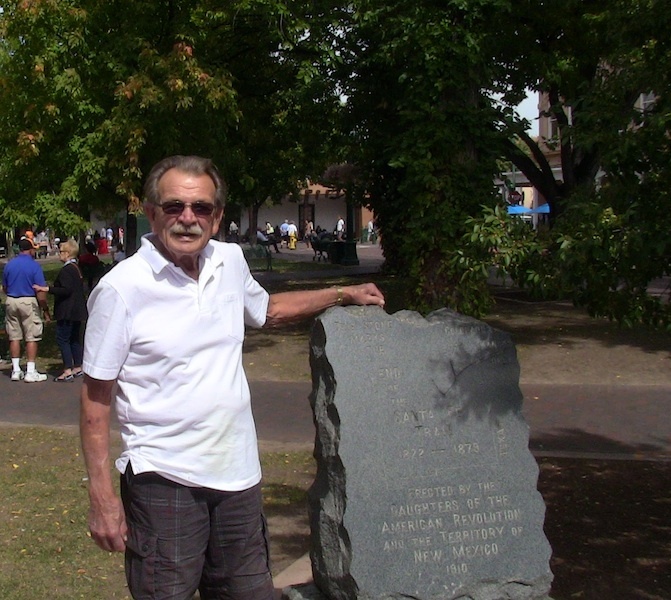 On Alan's HISTORY TOUR SANTA FE you learn about the espionage that happened in Santa Fe (MANHATTAN PROJECT MAYHEM) and you see where it happened. 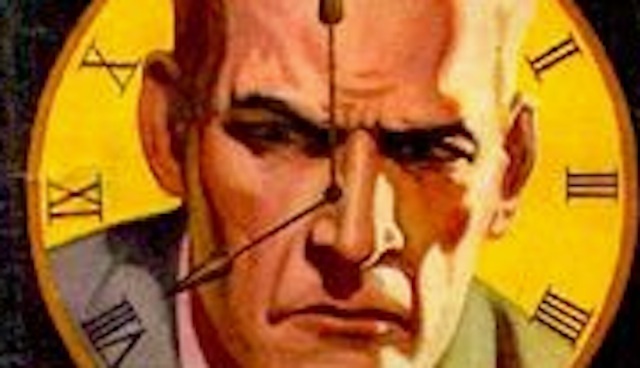 Espionage in Santa Fe did not end after World War II. 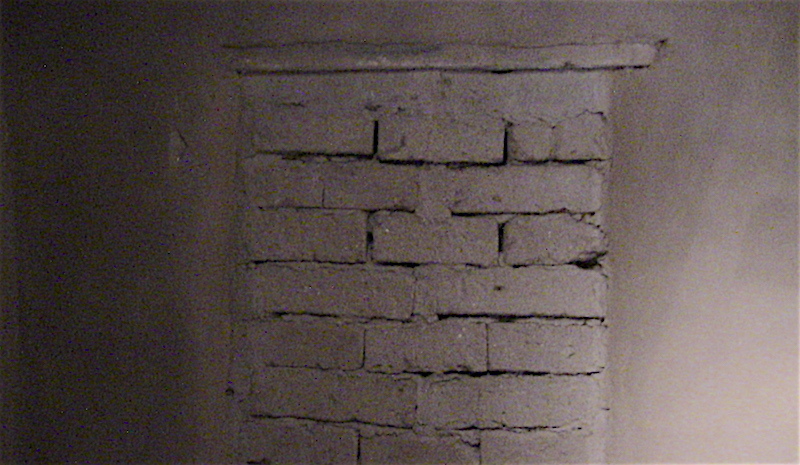 Key secrets were stolen by enemy agents in Santa Fe. 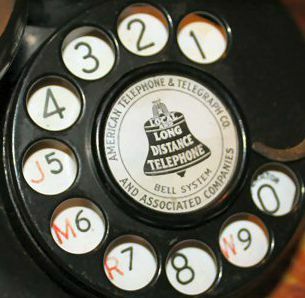 No other town in the USA has such a rich and beyond belief CLOCK & DAGGER history. 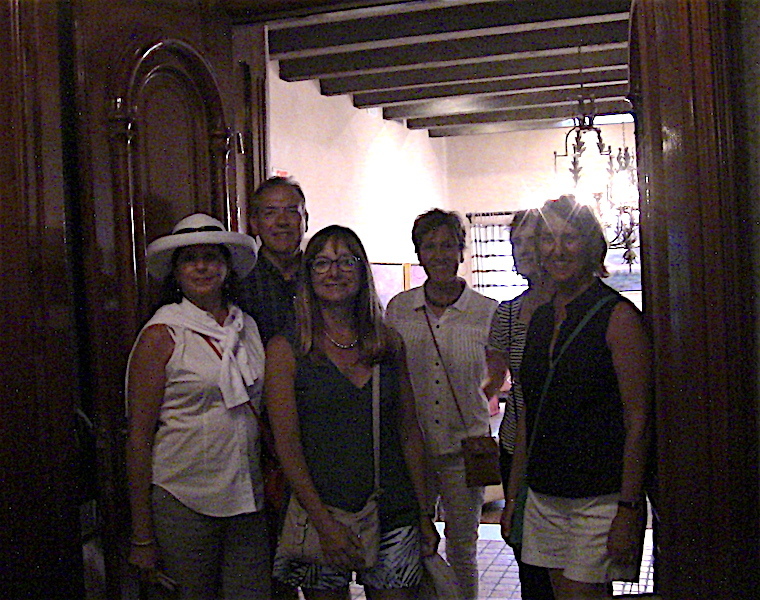 EXPLORE SANTA FE WITH ALLAN (HISTORY TOUR SANTA FE) 505-986-5002 or 505-231-1336 -- BELOW: Inside the historic La Posada. 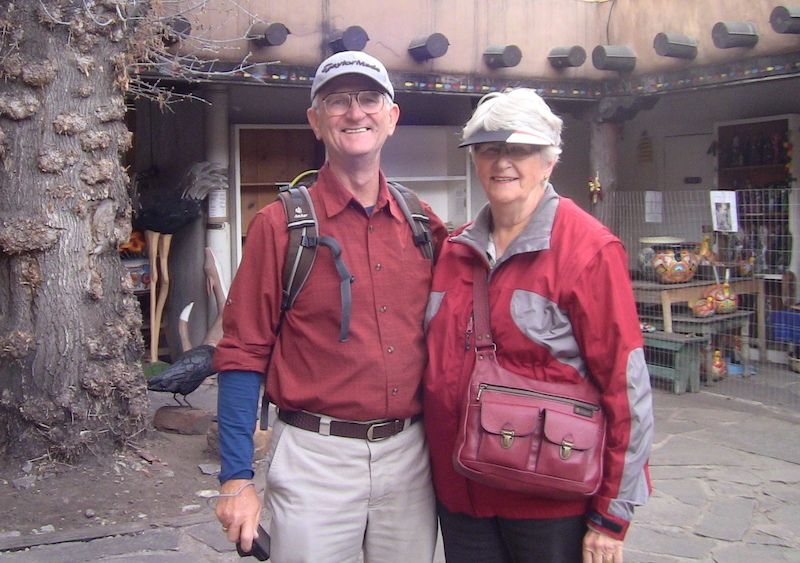 Schedule a Santa Fe private safari with Allan 505-986-5002 or 505-231-1336 ---- The best damm tour in town. 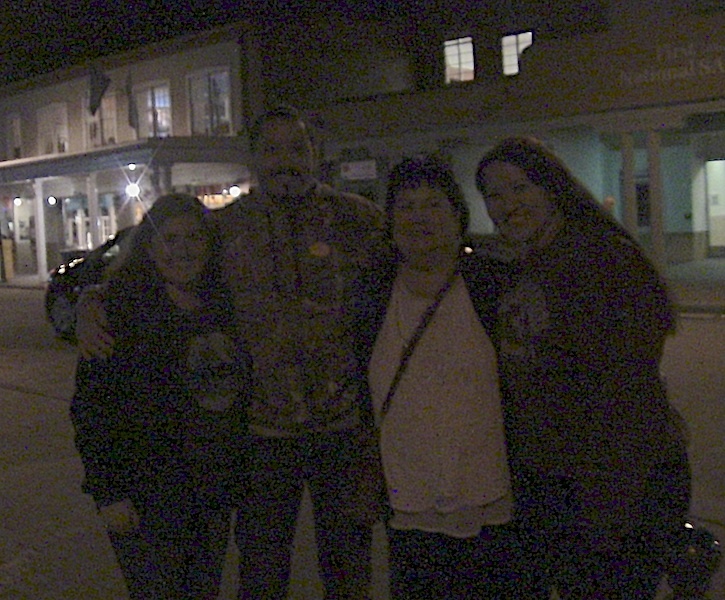 WALKING TOUR --- HISTORY MADE FUN --- or GHOST TOUR MADE VERY THOUGHT PROVOKING!! !